Some of the most enjoyable moments of camping are those spent by the warmth of a campfire at night. In addition to keeping you and your fellow campers warm, your campfire can double as a convenient outdoor kitchen. Forget about dirtying the inside of your RV on your next RV trip and test out these unbelievably delicious campfire recipes. Combine the chicken, mushrooms, onion, peppers, garlic and potatoes in a large mixing bowl. Pour in the lemon juice and olive oil and mix well. Divide the mixture evenly between four sheets of heavy-duty aluminum foil, then top each with another sheet of foil. Roll up the edges of the foil to create four packets. Wrap each packet in one more sheet of tin foil, so they’re all double wrapped. Cook the packets in the hot coals of the campfire until the chicken is fully cooked and the potatoes are tender (roughly 40 minutes). Cook the bacon until crisp in a skillet over the warm coals of your campfire. Take the bacon out of the skillet and set it aside, leaving some of the bacon fat in the skillet. Cook the onion and potatoes in the skillet with the bacon fat. Cover the skillet and continue cooking until the potatoes are tender. Crumble the bacon into the skillet and stir in the eggs. Cover the entire mixture and heat for roughly 2 minutes or until the eggs are fully cooked. If you know a fourth grader (or happen to be one yourself!) there’s a great program that allows them to visit the country’s national parks with their families free of charge for an entire year. It’s a great learning opportunity and a wonderful way to engender a love of nature, the outdoors, and conservancy in your child, grandchild, niece, or nephew. To participate, your fourth grader must obtain a pass. Once filled out, you simply plan your trip and hit the road. The pass must be printed and must accompany your fourth grader at every visit to a park. The pass has a unique code. Current third graders can get their pass ahead of time starting September 1, 2016. Supporting agencies include the U.S. Bureau of Land Management, the U.S. Bureau of Reclamation, the National Oceanic and Atmospheric Administration, the National Park Service, the U.S. Fish and Wildlife Service, the U.S. Forest Service, and the U.S. Army Corps of Engineers. Find out more by visiting the program’s site. Before you and your fourth grader set out for the adventure of a lifetime, drop by CCRV for RV sales, service, or accessories. Whether you need an RV to make the trip comfortable or to tune up the RV you own, we can help get you ready for all the roads ahead of you. CCRV is keeping RVs affordable and fun! Every season is RV season here in Texas, which means there’s still plenty of time to enjoy the great outdoors in 2014. Pack up your RV and head to one of our country’s best surviving examples of a U.S. Army post in the southwest — the Fort Davis National Historic Site. Fort Davis, located on the Limpia Creek in Jeff Davis County, Tex., dates all the way back to 1854. The purpose of Fort Davis was to protect the garrison from mail coaches, freight wagons and emigrants on the Chihuahua Trail and the San Antonio-El Paso Road. Its initial purpose was to control the activities on the great Comanche and Mescaler Apache war trails. Although, Fort Davis was quickly evacuated in 1861 with the start of the American Civil War and was ambushed and destroyed shortly after. Years later, in June of 1867, once the Civil War had ended, Fort Davis became a military post for the 9th and 10th U.S. Calvary and 24th and 25th U.S. Infantry (all-black regiments), who worked to rebuild the fort. Visitors should reserve roughly half of their day to seeing the fort in its entirety. The visitor center kicks off all tours with a 15-minute film, then visitors can roam the site, which includes six buildings that have been furnished and restored to look as they did in the 1880s, 20 other historic buildings and 100 ruins from the early days of the fort. If you’re lucky enough to visit the fort during spring break or the summertime, you’ll probably see spot members in period dress. Hiking trails, Junior Ranger activities, and plenty of scenic views are also integral parts of the site’s appeal. Any time you’re traveling through Texas in your RV, don’t forget to stop and see us at CCRV — your go-to south Texas RV dealer. Our qualified staff can help you shop for everything from a new or used RV to camping supplies and upgrades for your current home away from home. Stop in and see us in Corpus Christi or log onto our website to find out more about CCRV today. You don’t have to leave Texas to find incredible adventures and wild scenery. The Rio Grande Wild and Scenic River National Park offers a playground of rapids, canyons, cliffs and other natural wonders to get your blood pumping and your mind wandering. A visit to the Rio Grande Wild and Scenic River can be insanely adventurous, downright relaxing or a perfect combination of both. The Rio Grande Wild and Scenic River park offers a breathtaking setting for enjoying your favorite outdoor sports. River rafting, canoeing, fishing, hiking and guided tours are just a few of the countless activities you can get involved in while visiting the park. Float trips through the Boquillas Canyon, Lower Canyons and Mariscal Canyon are one of the favorite experiences among visitors to the park, and you can plan yours directy through the National Parks Service website. You don’t have to be an expert rafter, kayaker or fisherman to enjoy your time at the Rio Grande Wild and Scenic River. Local outfitters offer equipment and guide services that will help you handle park permits, gear, shuttles, food and everything you need to have a stress-free, enjoyable time on the river. Winter is beginning to settle in in some parts of the country, but it’s still the perfect time to be outside in Texas. The Rio Grande Wild and Scenic River park is open 24 hours a day all year long, so you don’t have to put your outdoor adventures on hold for the season. This park does not require an entry fee, but some portions of the river flow through other parks. If you float into Big Bend National Park, you’ll be charged a fee for entry. Day-use permits for the Rio Grande Wild and Scenic River are free, but overnight trips cost $10. As temperatures start to drop up north, we’re welcomed with mild temperatures here in south Texas. Stop in and see us at CCRV — your local south Texas RV dealer — to shop our huge selection of new and used RVs as well as RV supplies and camping accessories. Think you’ve been to all of the National Parks in Texas? The Palo Alto Battlefield National Historic Park is one of the newest units of the country’s National Park Service, and the visitor services are continuing to expand every year. So even if you’ve already been to this National Historical Park, it’s likely you’ll see something new each time you head back for a visit. 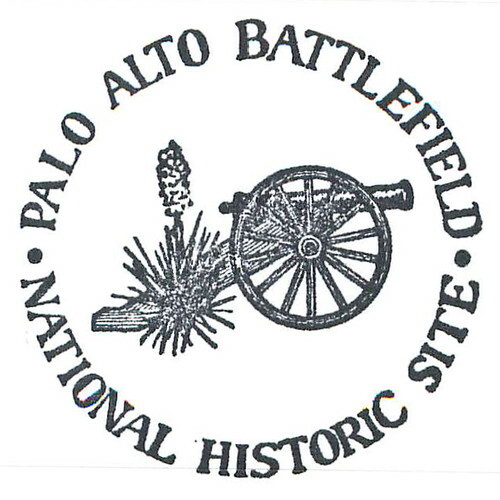 The Palo Alto Battlefield National Historical Park is the home of the first battle of the U.S.-Mexican War. On the historic day of May 8, 1846, Mexican and U.S. troops fought on the Palo Alto prairie. The war then waged on for two years and completely altered the map of North America into how we see it today. The goal of the park is to promote education about the battle as well as the causes and consequences of the U.S.-Mexican War. Although the Palo Alto Battlefield National Historical Park is still developing, there is plenty to do on site right now. From the visitor center with historical exhibits in English and Spanish to the walking trails, battlefield and overlooks, every visit to this park is an adventure. This National Historical Park is also the beginning of the Brownsville Historic Battlefield Hike and Bike Trail which spans 8 miles and ends near downtown Brownsville. Self-guided tours, guided tours, cell phone tours, nature watching and a number of seasonal and annual events are also available at the park for visitors to enjoy. The park is open every day from 8 a.m. to 5 p.m., except for Thanksgiving, Christmas and New Years Day. Trails are open to the public from 8 a.m. to 4:30 p.m., and special events are held from September through the month of May. Visitors can also enjoy guided tours December through March. Here at CCRV, we love our state’s national parks, and we love what they do for the recreational vehicle community. Stop in and see us at CCRV in Corpus Christi for all of your fall camping and RV supplies. We’ve got everything you need to enjoy our state’s and our country’s national parks this season. 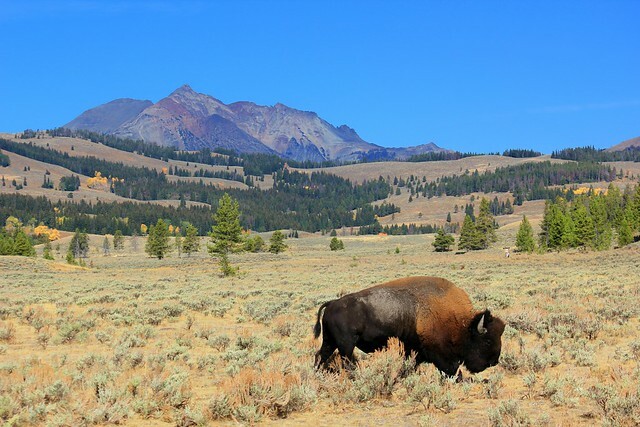 From Yellowstone to Zion, the Grand Canyon and all of the others in between, America’s national parks are some of the most majestic places to visit in the country. And to make your national park visits even more enjoyable, the Passport To Your National Parks program was created back in 1986. The national parks passport looks similar to an international passport, but it’s filled with useful information to help you navigate and enjoy the national park you’re visiting. If you’re an avid visitor of our country’s national parks, but don’t have a national park passport yet, you’ll want to get one. The passport book includes a list of all of the national parks in the country, pre-visit information, photographs and maps to help you get the most of each national park experience. There’s a place in each national park’s section to place a “cancellation stamp” that states the park you visited along with the date you were there (similar to getting your international passport stamped when you land in another country). There’s a special national parks passport for your kids too. Similar to the adult version, this 100-page passport provides information, maps and a field journal for every national park in the country. Kids love getting their passport stamped at each national park and the photos and information inside the passport are geared toward keeping kids interested. Avid national park enthusiasts will love the Passport To You National Parks Explorer Edition. This weatherproof, easy-to-carry passport includes pockets for your park souvenirs and an expandable map of the United States. The pages in the Explorer Edition are removable, so you can arrange your passport just the way you like and get the most out of every national park visit. Here at CCRV, we think our nation’s national parks are some of its greatest features. And there’s no better way to visit a national park than in the comfort of a new or used RV. Next time you’re in Corpus Christi, stop in and browse our huge selection of top-quality RVs for all of your cross-country adventures. Dig your fishing rod out of the closet, find your tackle box and fire up your RV. The first week of June is National Fishing and Boating Week, and that means there’s no better time to take a day off work or reserve your spot at a campground to kick back and enjoy one of America’s favorite past times. You don’t have to travel far and wide to take advantage of National Fishing and Boating Week. Lake Corpus Christi State Park is located right here in Corpus Christi and is an ideal place to catch largemouth bass, catfish, crappie, white bass and sunfish. Log on to the Lake Corpus Christi State Park’s website to find out about water conditions as well as a wide variety of fishing tips and tactics for your fishing trip. Whether you’re into fishing from your boat, dropping a line from a pier or jetty or standing on the shore, the San Antonio Bay is a Texas fishing mecca. Areas like Seadrift, Mesquite Bay, Cedar Bayou, Carlos Bay and Ayers Bay are all hot fishing spots that are home to plenty of trout and redfish this time of year. And with the bay’s close location to Corpus Christi, you can stay in one of South Texas’ many RV parks and cruise over for those long June days of fishing. Pull up to one of South Padre Island’s many campgrounds or RV parks (Isla Blanca Park, the South Padre Island KOA or Andy Bowie Park to name a few), and unload your fishing gear for a week of fun in the sun. Fish from one of South Padre Island’s numerous piers or jetties or head out on a fishing charter and try to snag a big one. Get everything you need for your June fishing adventure right here at your South Texas RV dealer — CCRV. With everything from the top new and used RVs in the industry to RV service, camping supplies, parts and accessories, you can make us your go-to Texas RV headquarters. Preparing food over a campfire is part of the fun of on-the-road traveling. With an inventory of simple grocery items, you can prepare some classic campfire favorites that will have everyone clamoring for more. With RV cooking and grilling accessories from CCRV, you’ll have everything at your fingertips to be in impressive campfire cook. Using a cast iron Dutch oven over hot coals, your stew will be succulent and juicy. Ingredients needed include: stew beef, potatoes, carrots, onion, green beans, garlic, beef broth or bouillon, olive oil, canned corn, canned diced tomatoes, and canned biscuits. Chop and quarter potatoes. Trim tips off green beans. Place green beans, potatoes, 1 can of corn and 1 can of diced tomatoes (drained), and 2 tsps beef broth into a bowl. Cover and set aside. Slice 1 medium sized onion. Crush 2 to 3 cloves of garlic. Set aside. Prep stew meat with salt and pepper. Use olive oil to coat the Dutch oven. Place lid on pot and place in hot coals. Add meat, garlic and onion, and stir to brown meat. Be careful of hot coals. Add remaining ingredients plus 1 to 2 cups of water. Cover and cook for an hour. Remove lid carefully and place biscuits on top of the stew. Replace lid. Add hot coals to the lid top to brown biscuit tops. Cook for an additional 15-20 minutes. Carefully remove hot coals from lid. Remove pot from coals and serve. Heat 4 tbsp vegetable oil in a saucepan. Add 2 medium chopped onions and 2 carrots. Cook for 10 minutes stirring frequently. Add 2 cups cubed unsmoked bacon. Cook for 1 minute. Add 2 tbsp dark sugar and 2 tbsp tomato puree. Cook for about 2 minutes. Add 2 cups of pinto beans that have soaked overnight along with the liquid, 2 cups tomatoes and 1 cup of strong coffee. Season to taste with salt and pepper. Add mild chilies – optional. Cover beans with water. Replace light fitting lid and simmer for at least 3 hours. Periodically check water level during cooking and add more water, if necessary. Serve over rice along with cornbread. Put on your chef’s hat and head to CCRV for the latest in cooking equipment. While visiting, take a look at our new and used recreational vehicle inventory. 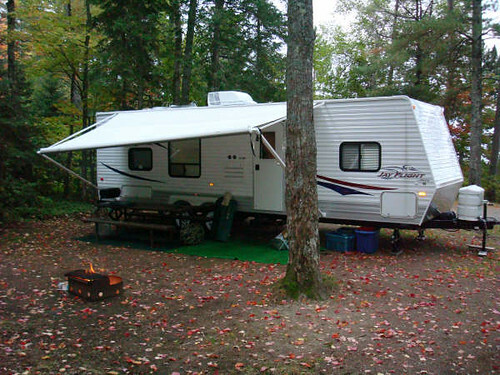 If you’re looking for a great RV destination, look no further than KOA RV parks. These campgrounds are spread out throughout Texas and the rest of the United States, so you can pick a location that you want to explore. In Texas, you can find KOA campgrounds near the Fort Worth Stockyards National Historic District, or choose to stay closer to the Space Center in Houston to learn all about NASA and the universe. There are KOA campgrounds near the Guadelupe Mountains National Park, or you can opt for those near the rodeos. KOA parks have different activities. For example, the Lake Sam Rayburn KOA has a Memorial Day Weekend Annual Crawfish/Shrimp boil at the Brookland, TX, branch. In Arlington, you can visit KOA for Ranger or Cowboy games, or to visit Six Flags or Hurricane Harbor. They also have a Halloween special that runs each year. South Padre Island KOA has Sea Turtle Days, and they also offer discounts on fishing, foods, and camping at their South Padre Island location. Campground offer different amenities, but you can expect to choose from a few or all of the following, including a year-round open pool, hot tub, sauna, snack bar, tour shuttle, propane, cable TV, fishing, wi-fi, and other useful amenities. If you’re hungry and don’t feel like cooking, the onsite restaurant makes a meal to remember, or you can opt to run to the Kampstore and pick up a few essential items for a quick meal. There is a sandy playground at many KOA campsites, and RV clubs and rallies are common. For pets, you may be able to use a K9 pet playground at select KOA resorts. The free shuttle will take you to local events and activities, and in the summer, on-site activies are common. A fitness center is also included with some KOA campground units. Where do you like to camp when you travel? Let CCRV know! Texas is one big state to do just about anything in, including RVing. However, many like to get out of the Lone Star State to see what nearby states may have to offer. CCRV in Corpus Christi decided to investigate the state parks up north in Oklahoma. We found a variety of activities for those in Texas willing to take their recreational vehicle to Sooner Country. Oklahoma has some 35 state parks spread throughout the state. Interestingly enough, only one is really close to OKC in the middle of the state. That is Thunderbird Lake State Park with a variety of water activities and over 200 campsites. Scattered elsewhere around the state are parks that offer a diversity of activities. If you enjoy, or would like to try, rappelling, you may want to check out Red Rock Canyon State Park. If boulder climbing or rock climbing is your thing perhaps you’ll want to visit Robbers Cave State Park. The appropriately named Little Sahara State Park is famous for its sand dunes and a great place to take your ATV. They also have rentals available if you don’t own your own. Lake Murray State Park offers just about every water sport and activity you can imagine. Oklahoma State Parks offer activities as diverse as diving in Lake Tenkiller’s dive park, to climbing up to the top of Black Mesa, Oklahoma’s highest point. Can I make advance reservations? Spots are available first-come-first-served. Are pets allowed? Yes, as long as they are on a leash and are picked up after. What are camping site fees? Semi-modern sites that include electric and water are $20 per night. Modern sites include electric and water, and sewer costs $23 per night. There are some Oklahoma State Parks that offer premium sites, along the water for example, for an additional $5 per night fee. What if I want to fish while there? If you are considering fishing, Oklahoma fishing licenses can be purchased online at the Oklahoma Department of Wildlife Conservation’s website, but allow enough time for your license to be mailed to you. CCRV of Corpus Christi suggests enjoying your travel trailer, motorhome, or other RV with a visit to Oklahoma. The state parks there offer an impressive amount of diverse activities!